We started our business in the spring of 2013. 5 years, but have been baking for over 45 years! Pies, cakes, tarts, cookies, bars and tea cakes. We started selling muffins at a local farmer's market, and it became clear that this was something loved to do, and wanted to do as much as possible! 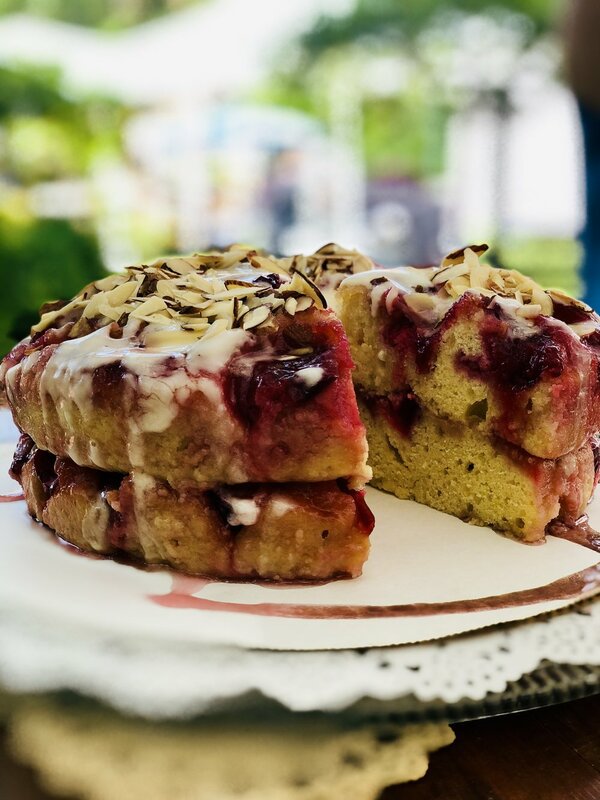 Chocolate chip cookies, frangipane tarts, and Italian lemon cakes sell quickly, but we are constantly changing our items depending on what local produce is in season, so there are a variety of options. Our kid's friends always called me "Mama B", and our son thought "Tasty Treats" would cover anything we wanted to bake. Basically, our kids picked the name, which makes us so happy! Folks who LOVE to talk about and eat fabulous food, my family, my dear friends. I wake up every day wanting to learn about, to create, and to experience beautiful baked goods. Eating as much marzipan as I can get my hands on. Watching "Claws", and "The Great British Baking Show". Tarts, bars, cakes, pies and cookies. A fancy schmancy layered cake.